Our ambition and objective for the last 18 years have always been to deliver quality projects, values and satisfaction to our clients across the UAE. We are passionate about achieving their business needs in a manner that provides them with the very best construction experience. At Safe Mix, the sister company of UNEC, we are committed to invest in modern business practices and management techniques in order to ensure that we remain at the cutting edge of our industry, We continue to build on our reputation with our focus firmly on growing the ability of the business to deliver in new and innovative ways. Safe Mix was established in 1998 to cater the booming construction and related activities in the UAE. The company was established by the Managing Director of UNEC-Safe Mix, Eng. 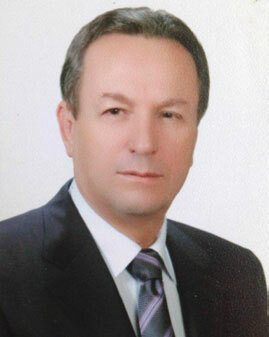 A Halim Muwahid. Safe Mix operates 11 fully customised batching plants at 5 locations (Jebel Ali, International City, Sharjah, Hamriyah Free Zone and Showka) and an upcoming one in Nashama. 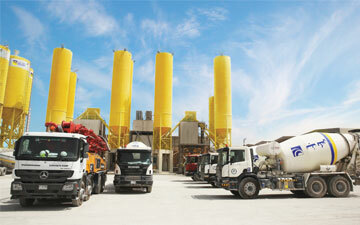 market and attained an excellent reputation for supplying quality concrete to various sectors in the market. During the short span of time Safe Mix Ready Concrete has supplied millions of cubic meters of concrete to various prestigious projects such as towers, bridges, dams, reservoirs, mosques, villas, roads, etc. Safe Mix Block Division is ideally located in Jebel Ali Industrial Area No. 3 and concentrating on block products. The state of the art plant revolutionized the quality and variety of products being produced for the construction and infrastructure section of the region. The entire Safe Mix culture is geared toward pushing our limits to allow our clients to expect more. With responsiveness, flexibility, and open communication, Safe Mix is dedicated in creating strong, lifelong relationships with our clients and partners. Delivering unparalleled, high-quality workmanship and service. for excellence by creating cohesive, collaborative work teams that perpetuate the “no gap” philosophy. Building an incident and injury free environment. Building lifelong, professional relationships, both internally and externally, based on trust, integrity, and competency. Producing more with less through marathon effort and constant vigilance of cost and productivity. The entire Safe Mix culture is geared toward pushing our limits to allow our clients to expect more.